There is good news for the fans of La Liga and International Football matches from India. Now La Liga Official Live Streaming will be available in Delhi. The event is organised by Essex farms for the fans staying in the national capital of India. It’s the first time La Liga is providing official live streaming in Delhi with partner channels. On 19th of March. Event hosted by LaLiga Santander attended by well-known Spanish LaLiga Legend, Aitor Ocio Carrión along with over a 150 select LaLiga guests and fans. The live streaming of La Liga tournament was invite only. Aitor Ocio Carrión is 40-year-old retired LaLiga player who has played for Athletic Club and Sevilla FC as a central defender, amassing a total of 173 appearances for both the clubs during his 18-year senior career. He was available at the moment giving interviews to media channels and autograph to fans. The Spanish defender proudly holds Copa del Rey and two UEFA Cup crowns with Sevilla FC among other silverware in his chamber of awards. 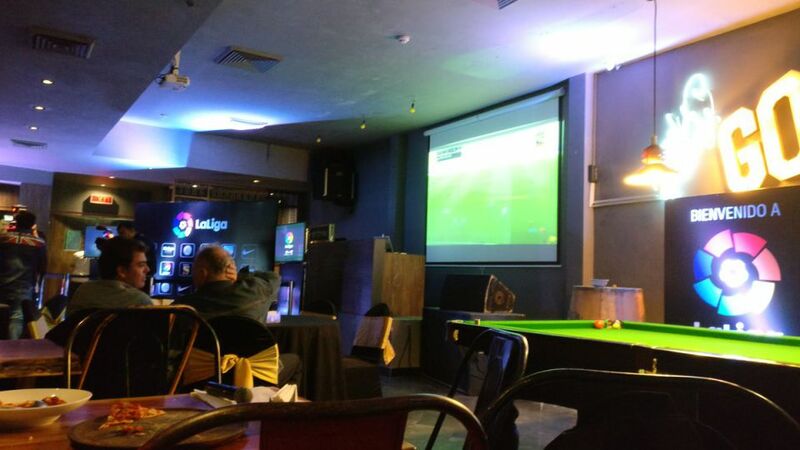 Being on the event during live streaming to watch the match with fans, he showed the excitement to catch the game of his team live on the projector screen. Along with the watching tournament, the club has facilities for playing cricket, bowling and many other indoor games. Drinks served along with the drinks. “I have always been attracted to India as the fans here are passionate about the sport and have always supported Spanish clubs as well as the League. I have met fans from a lot of countries over the years, but the main motive for me to come to India is to interact with the Indian fans and witness their celebration of the Spanish league.” Aitor Ocio added in the official statement. The La Liga official live streaming in Delhi will continue to observe the support first. Considering the growth of fans in India, this type of events turns out to be an event of meeting and greeting each other for the fans. From few matches onwards, Delhi to witness the live event in Yes Minister, Essex Hospitality.